The image of this sweet little church in the rural Georgia countryside is moving. The winding dirt road that skirts the cemetery leads your eye to the sanctuary nestled in the trees. 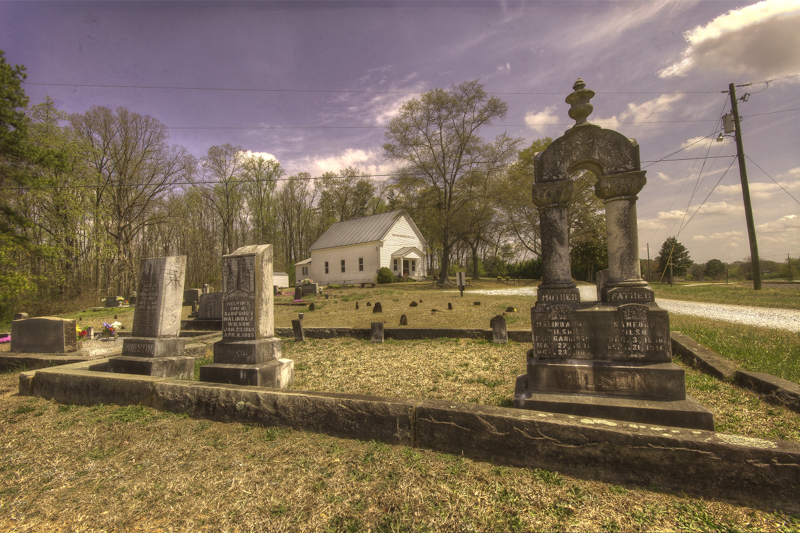 The road and the random placement of headstones in the foreground is balanced with the ramrod straight rails supported by the cross ties and gravel bed. And to top it off, there is a train coming. 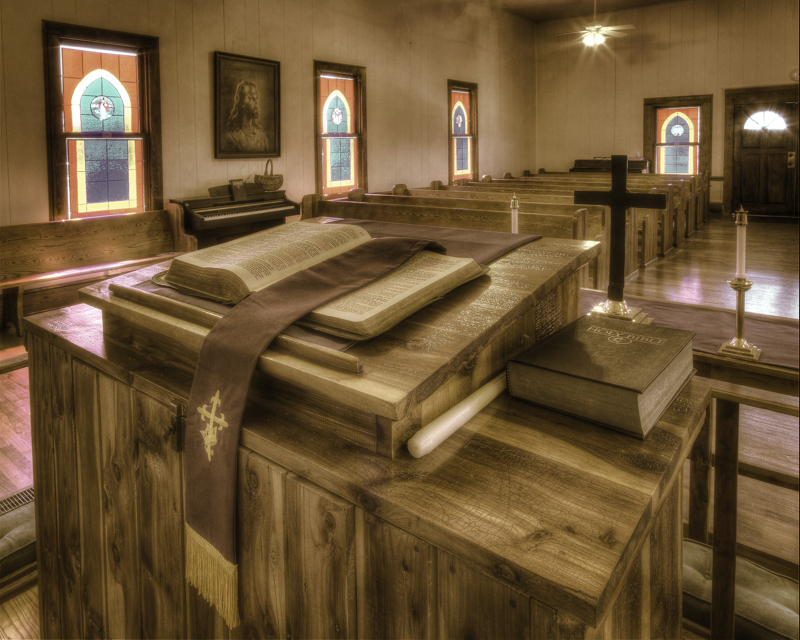 It doesn’t get any better than this for a Historic Rural Georgia Church and days gone by. The early history of Wilson’s Chapel is not clear but the year 1814 has come down as the date of the original organization. The original church was located on some land nearby. In 1851, some land was purchased from the Wilson estate by two Garrison Brothers, who then donated one acre of land for a new church. The new church was duly built and named Wilson’s Chapel after the original owners of the land. 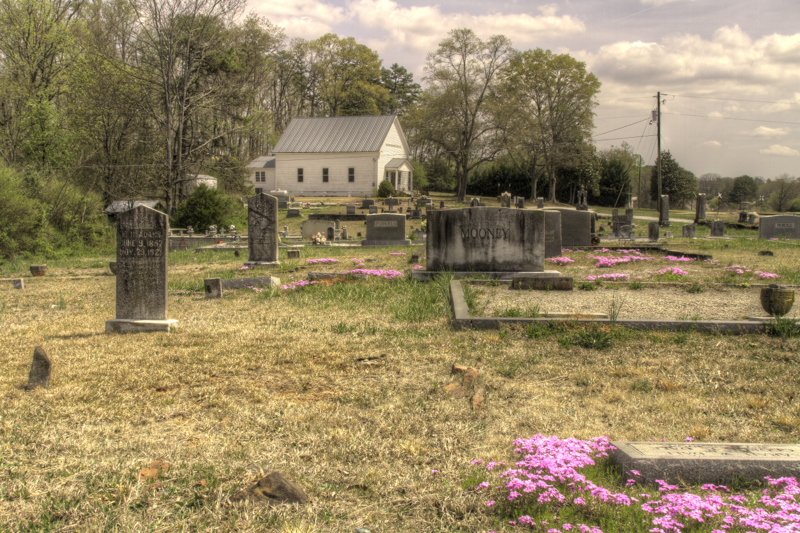 As the rural landscape changed in Georgia, so did the church, and the membership was barely keeping the doors open in the 1930’s. 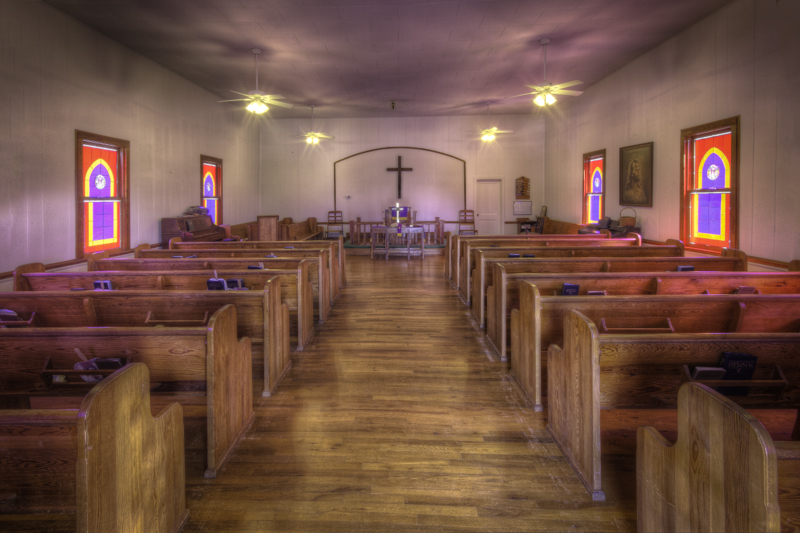 However, the members persevered and in 1953 they received a new pastor whose name was Rev. Sam Coker. Under his leadership the church experienced its greatest resurgence since 1907 when 33 new members were added to the church. 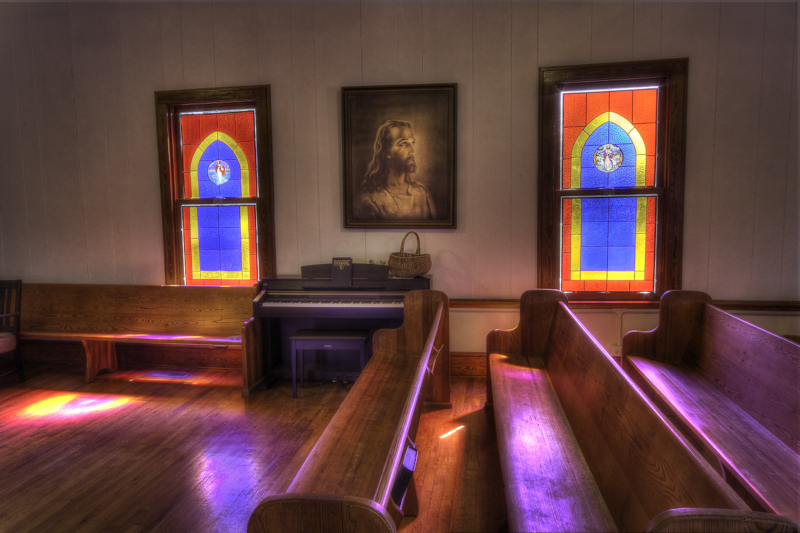 Three Sunday School room were added and the sanctuary was refurbished. Some new alter furniture was added and the old coal heater was replaced by a gas one. Finally, the outside of the church was painted and the surrounding landscape was improved. All this with a church budget that year of $418.00. 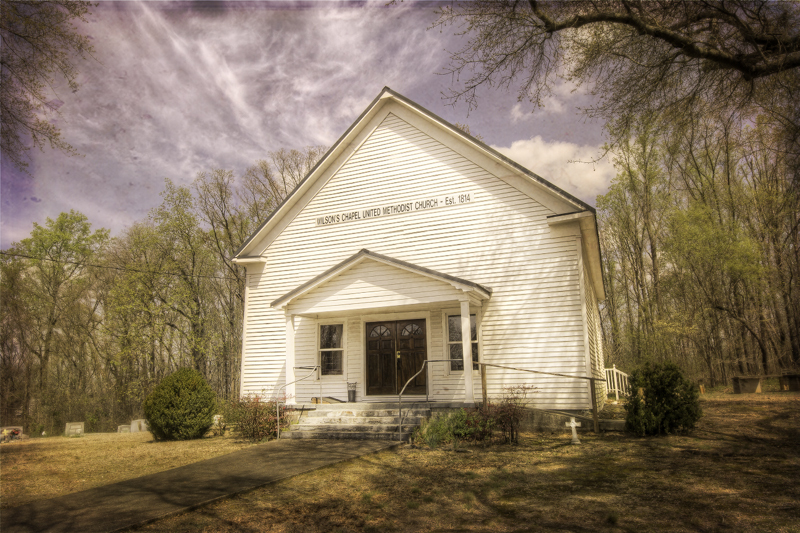 Thank you for supporting Historic Rural Churches of Georgia and helping us spread the word. Please be sure to sign up to receive new postings on featured churches.